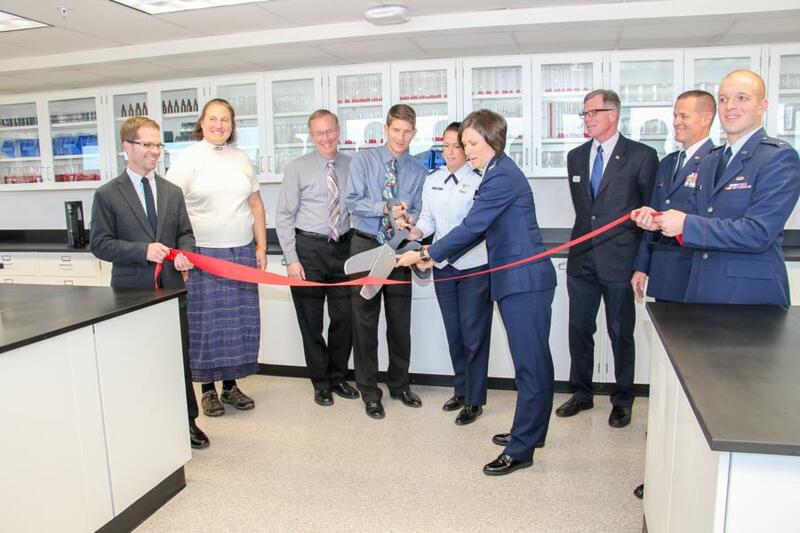 Wednesday the Prep Staff had a Ribbon Cutting ceremony for the Academic Buildings new Science Lab. 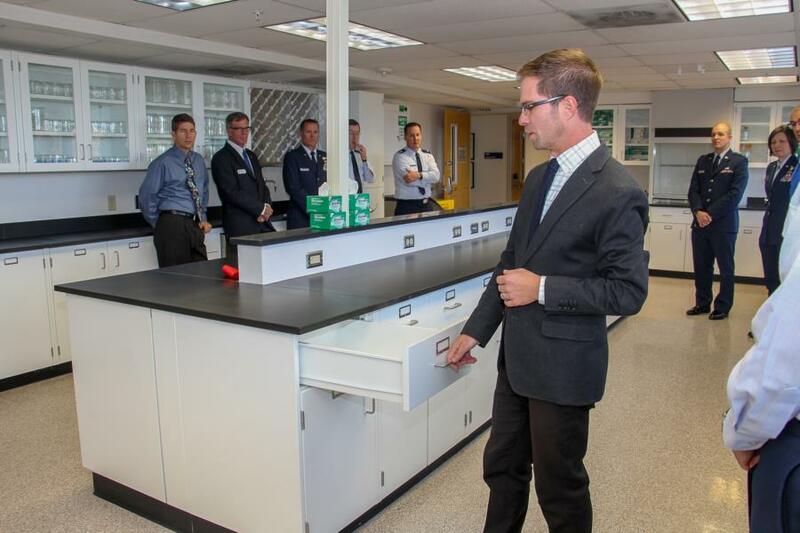 Lt Col Christensen, the Prep School's Dean said a few words before taking everyone into the new Lab where the Prep School Commander Col Breeden and Prep Staff cut the ribbon. 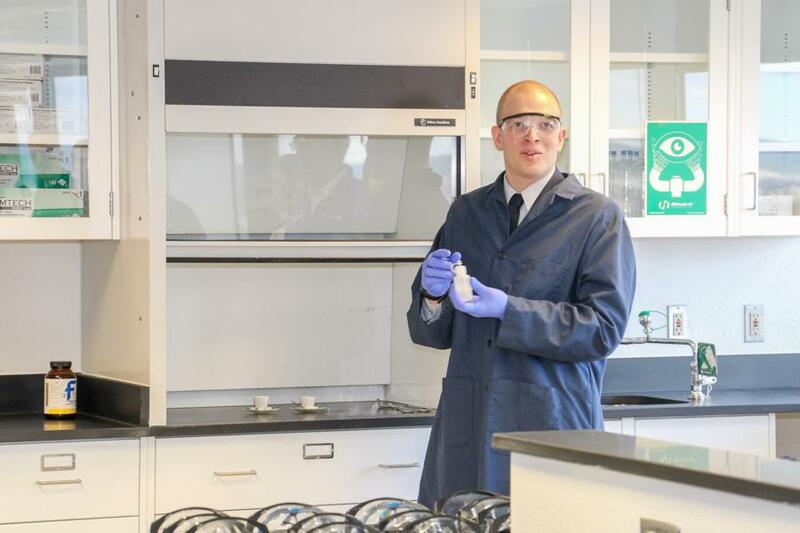 After the ceremony concluded the Department Head of Science at the Prep School Kevin McGregor went around the room to talk about the new features and one of the Chemistry Instructors 1st Lt Born gave a science demonstration. How exciting for the Preppies with this new lab space! To view the rest of the pictures from our glimpse into the Ribbon Cutting ceremony go to; Classes - Prep School - Academic Studies. Or click the link below. After the Ribbon Cutting Ceremony the Prep School week Preppies were given the opportunity to meet and talk to USAFA's Superintendent General Johnson. 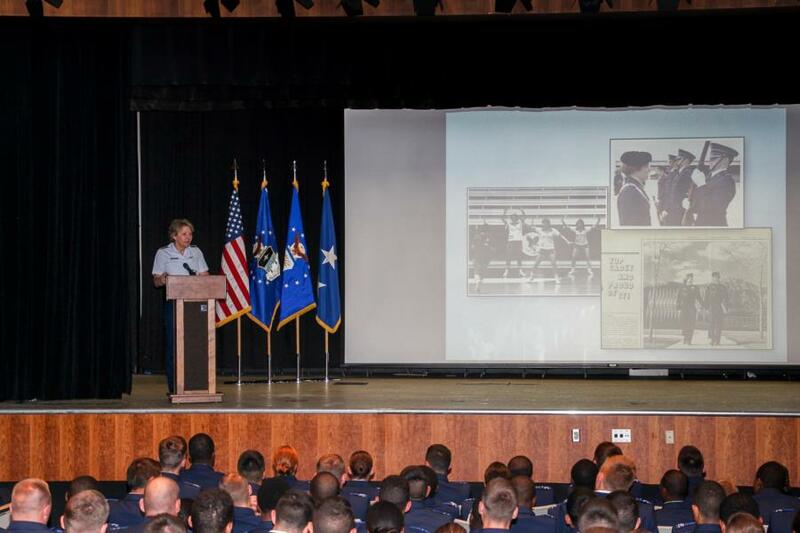 She talked about her life growing up, joining the military and working here at the Academy and afterwards the floor was opened to the Preppies to ask her questions. All in all it was a great experience for both sides. 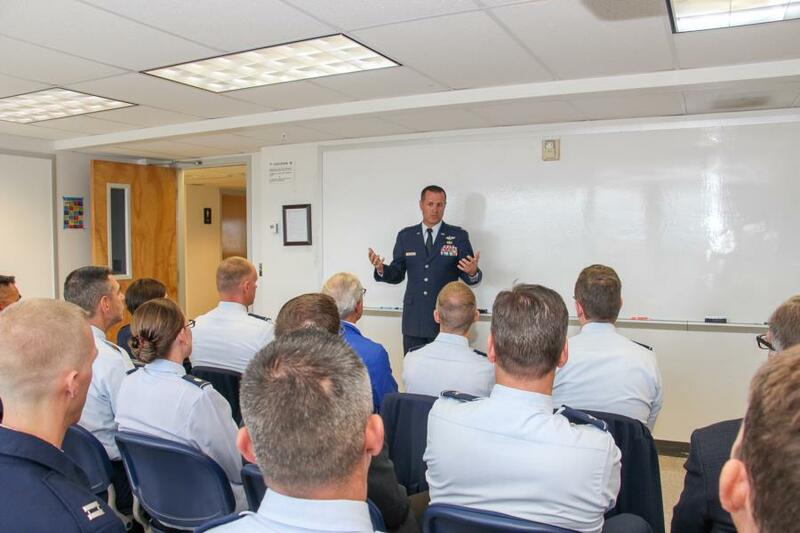 To view the rest of the pictures from our glimpse into the USAFA Superintedent General Johnson's visit to the Prep School go to; Classes - Prep School - Prep Life. Or click the link below.